Our full service Reprographics Department handles all Copying and Printing functions through Document and Plan Distribution for all our Architects, Contractors, Engineers, and Builders. These services include Specification Scanning, Copying and Printing and Large Format Drawing Scanning, Copying and Printing. 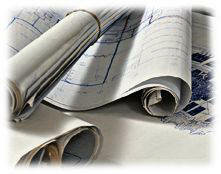 Plans and Specs can also be posted to our Document Library Plan Room.